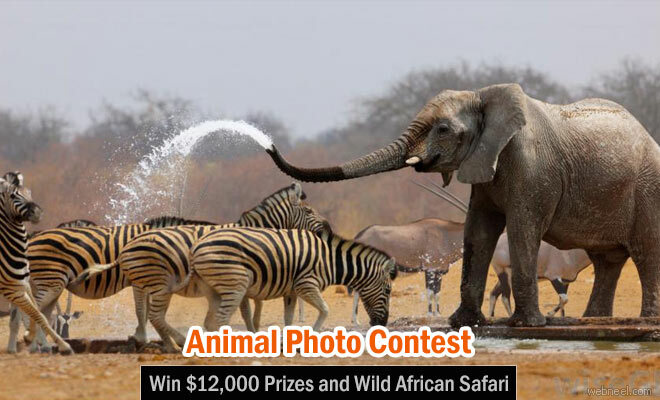 The Wildlifephoto.com Animal Behaviour photo contest is now open for photographers around the world. Of the three contest in the series organised by wildphoto.com/, this is the final contest. The contest has $25,000 worth of prizes to win and the winning images will be displayed in Winners' Exhibition in NewYork City. Entry Fee: The Contest is free to enter. Prizes : The winner will receive an f-stop camera bag worth $360 and a Camtraptions camera trap worth $240. Our favourite contest winner overall will also win our grand prize for the 2016 contest series; a luxury African safari for two courtesy of The Bushcamp Company. There is a second safari up for grabs in our bonus giveaway. Big Screen Plaza: The winners and a selection of highly commended images will be exhibited on the “Big Screen”, a gigantic outdoor screen in New York City, USA. This is a 30 ft. HD screen is located at Hotel Eventi in the thriving Chelsea District of New York City. When not privately booked, the screen displays a rotating selection of visual art and photography, curated from artists around the world.